Here at The Winners Enclosure, we are preparing for our own Christmas Crackers, with as many as twenty names still in the hat for the 32Red King George VI on Boxing Day. The King George is leg two of the Jumps Triple Crown, and Bristol de Mai will be looking to emulate the great Kauto Star as the first winner of the Stayers Chase Triple Crown for over ten years. Several horses have come close in recent seasons, none more so than Cue Card in 2015/16, when falling three-out in the Gold Cup, having already won the first two contests. Bristol de Mai could be joined by the four horses in beat in the Betfair at Haydock last month, all of which seeming with something to prove - in particular last year's winner of this race, Might Bite. What is interesting is that the bookies are currently giving Nicky Henderson's quirky 9yo the favouritism tag, despite his poor display of jumping on Merseyside. Thistlecrack - also a winner of this race back in 2016, will look to continue his turn of fortunes with another good effort, with Gold Cup winner Native River also in there pitching his claims. Clan Des Obeaux is the other who still holds an entry. The dark horse surely is Waiting Patiently, who has been off the track since February, where he landed the Ascot Chase in tremendous style. Trainer Ruth Jefferson warmed up her 7yo gelding around Hexham not too long ago, and believes this horse could throw down the gauntlet on the division. The only worry would be that his rivals may be slightly sharper having had that racing run at Haydock, but you would be a fool to rule him out - and could be the next big thing in the division, based on his exploits last season. Also new to the scene is Politologue, after his win in the Christy 1965, along with Saint Calvados - who was a good third to Altior in the Tingle Creek two weeks ago - both of whom are stepping up to three miles for the first time. Ireland could be represented by everybody's Gold Cup favourite Presenting Percy, who has not been seen since his emphatic win in the RSA at Cheltenham. He is more likely to stay in Ireland for their Christmas Festival, but nonetheless still holds an entry at this stage, with Patrick Kelly stating the decision comes down to where the more favourable ground conditions are. The Irish also have four Gigginstown players to use, including Disko and Shattered Love who are expected to stay on home soil, meaning Don Poli and Outlander - who are no strangers to British turf this time of year, could remain in the fold. 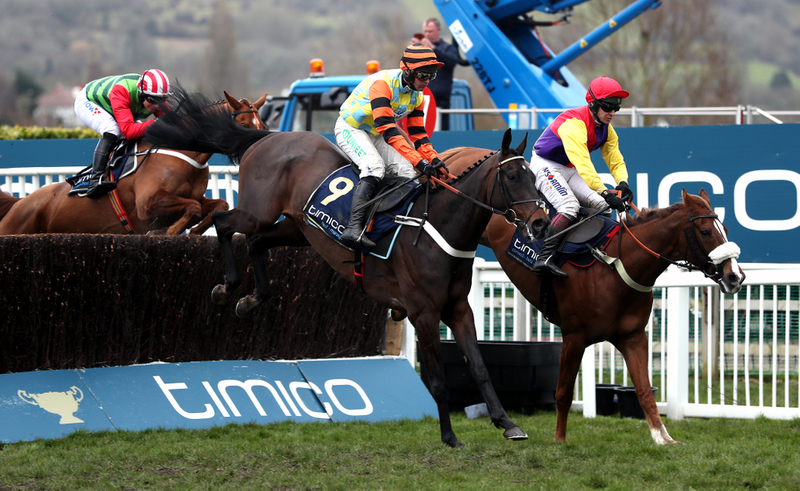 Other names to mention are Ladbrokes Trophy winner Sizing Tennessee, who is expected to skip this in favour for the Welsh National, Black Corton who won on this card twelve months ago, and Double Shuffle who finished second in this contest at big odds last season. The other three are Top Notch - who is yet to be seen this season, Coneygree; who could back up his fine performance in the BetVictor with another successful run here, along with King George regular Tea For Two. The King George - the Christmas Feature, takes place just after 3pm on Boxing Day, with the declarations set to be completed on Friday.